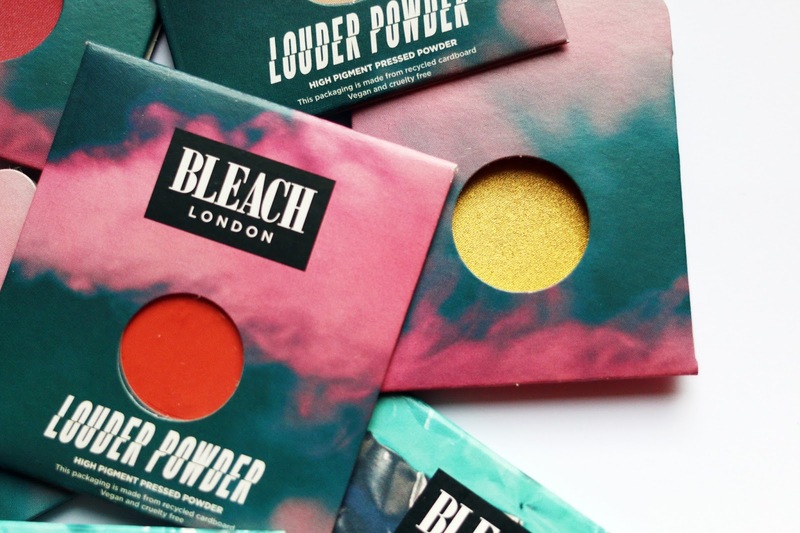 After quite some time spying on my local Superdrug and pestering the guys running their Twitter for dates, I eventually managed to get my hands on some BLEACH London beauty products. I had been super excited ever since the release but I couldn't decide what to try, so as soon as I heard they were launching the line throughout select Superdrug stores I figured I would just wait and have a browse in person. I'm a big fan of their hair products so it was only fair that I would give their beauty line a try, plus the whole collection looks absolutely amazing anyway. 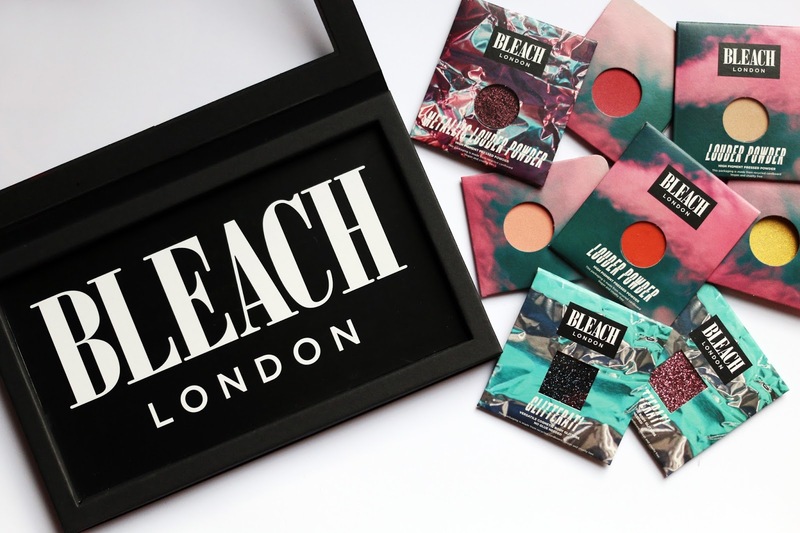 BLEACH London is a vegan and cruelty free brand which is definitely one of the main reasons they have won me over and as well as that, they're such an affordable brand too. They have a range of products available from; contours, highlights, lip kits and shadows. From what they had left on the stand I decided to go for a Build Your Own palette as I was after some brighter shades and a bit more glitter in my life. Unfortunately, some of the Louder Powder shadows that I was after were out of stock but I still wanted to try some out nonetheless. The single Louder Powder shadows retail at £3 each which I think is a canny good bargain and they currently have 33 shades to choose from. 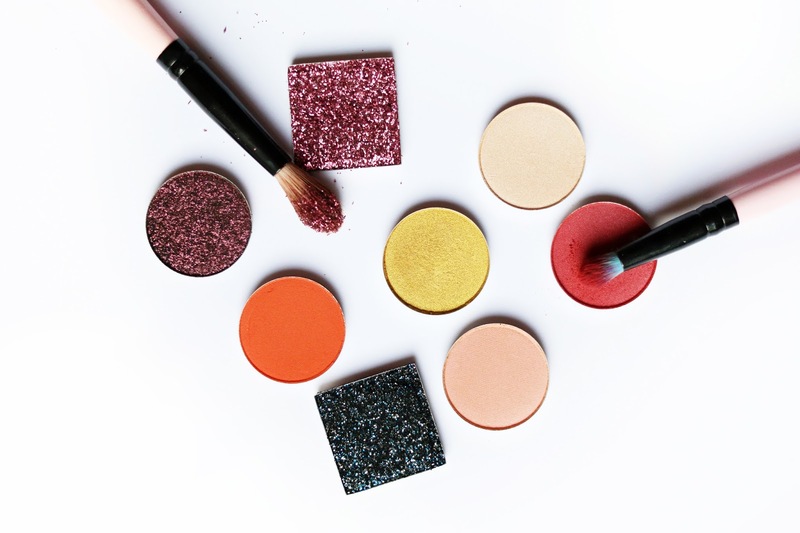 There's a great range of 'wearable' shades and tonnes of bolder colours that you may have missing in your current palettes. I was definitely on the hunt for some more vibrant shades. This is why I love that they have single shadows, you're able to pick out your favourites and create your own edit rather than having to buy a full palette for only one or two amazing shades. Now the only gripe I have with the BYO palette is that it is £10 for the large magnetic palette and I feel as though the quality could be better. I don't mind the cardboard packaging and I love the fact that the plastic is clear so you can see what you've got in there, however, I find the plastic to be a little too thin and flimsy. It feels like it could get damaged whilst travelling, yet if it was just a little thicker and sturdier it would be 10/10. It just kinda feels like the plastic you'd get on the box of your Barbie when you were little... I feel bad writing that, but I want you to have my honest opinion and for £10 there's definitely room for improvement on the palette quality so fingers crossed. 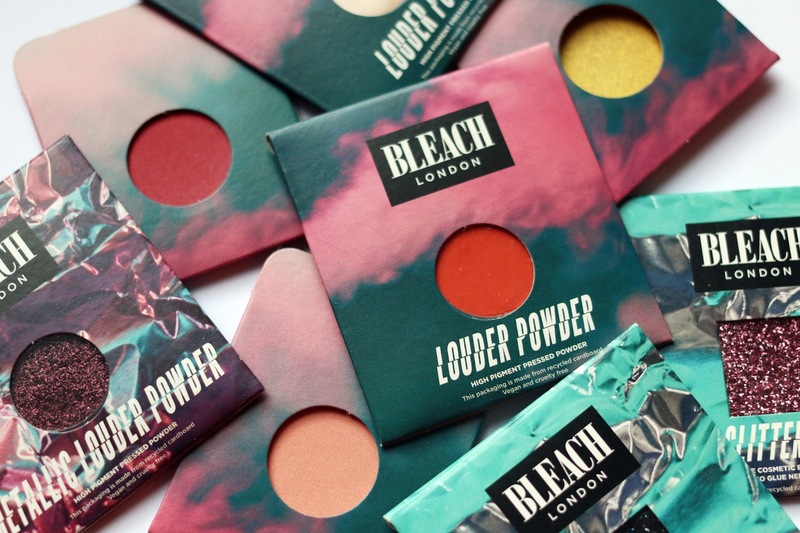 Now saying that, they have absolutely nailed the rest of the packaging and everything looks cool as hell with their BLEACH London logos on. With gorgeous colours and textured designs, the shadows are packed in the neatest little cardboard sleeves which are perfect as they look super sleek. Not only are they made from recycled cardboard they are indeed recyclable themselves, which is always excellent. I found the shadows themselves to be very true to colour and on first application you definitely get great pigmentation with a softer look. 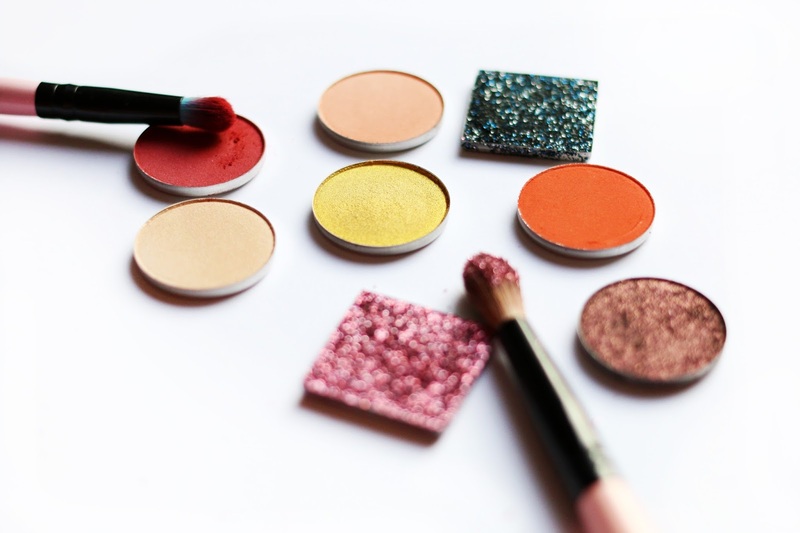 They are super buildable shadows so you're definitely able to get the colours to pop even more for a bolder look. 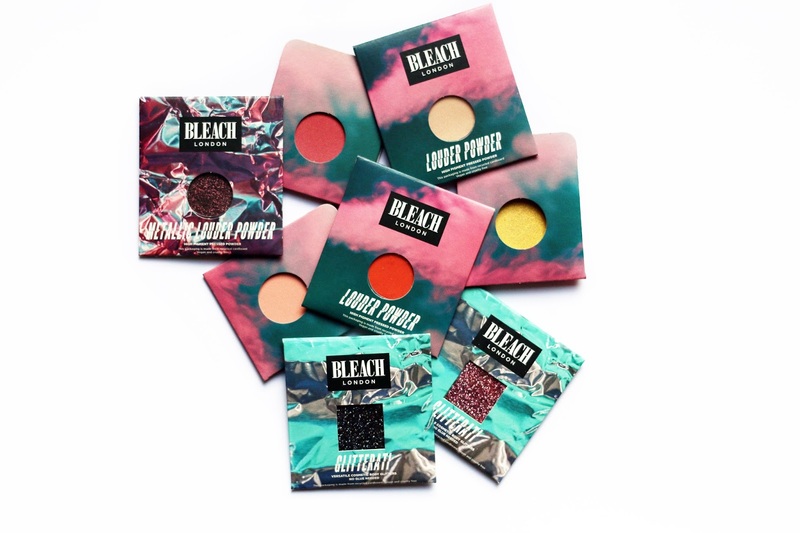 The Louder Powders are super blendable and I have found them to be very long lasting, especially when I have worn them on days I have been at work. Super high impact when applied with your finger too. If you're after even more fun with your make up looks, I'd definitely recommend the Metallic Louder Powders as well as the Glitterati. Both are super pigmented and very sparkly. The Metallic Louder Powder definitely leaves more of a metallic foil finish with lots of colour where as the Glitterati is just pure coloured glitter. I love that the Glitterati's are multi tonal too rather than having just one shade, they really amp it up with different coloured reflects. I haven't tried any glitter primers yet and tbh you don't really need them with Glitterati but I imagine you would definitely get amazing results. I've only recently saw that they have a Glitterati palette with 9 shades in and I really need it in my life. 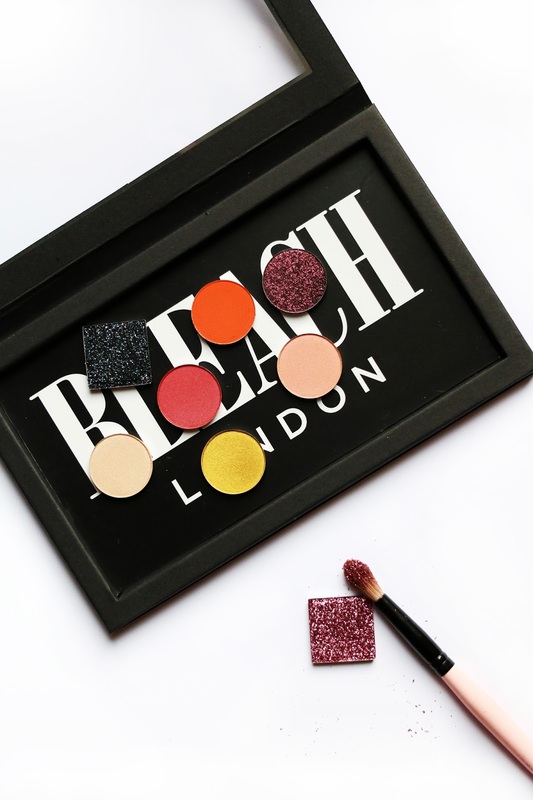 Have you tried any BLEACH London make up products yet? What were your thoughts?